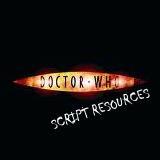 This was the primary package for all code for objects using Doctor Who Mods. I drastically changed the way it registered itself and was in the process of a complete rework of code when I discontinued support. The Source code is a jumbled mess because of this fact and currently I do not know what works, doesn't whats been changed or updated since the last public release. I am not currently planning on revisting Sims 3 Modding, but if and when I do, this is where I will post the primary code. Reaper XML Tuning : TESTING, Needs Updated if Changed?